The final entries made the definitive entry list of the forthcoming Andrea Margutti Trophy reach level 251 drivers. The race will take place from April 4th to 7th at the South Garda Karting circuit in Lonato and will celebrate the 30th anniversary of a race that started back in 1990. 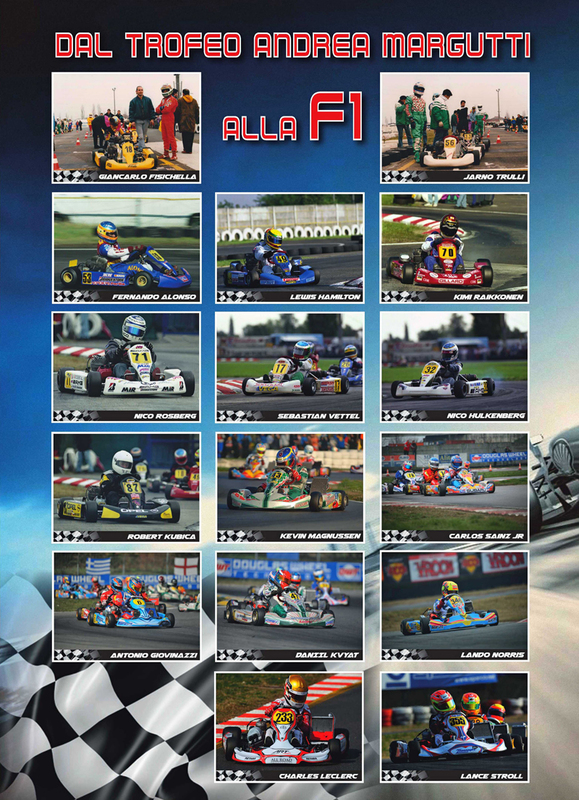 Five categories are entitled to take part in this event: namely, KZ2, 60 Mini, OK, OK-Junior, X30 Senior for the Iame Series X30 Trophy, while historic karts of the 90s will compete for the KFA series. A total of 40 different countries will be represented as 107 Italian and 144 foreign drivers gathered in Lonato from 4 Continents. KZ2 is the category with the highest number of entered drivers, 60, while 60 Mini has 54, OK 23, OK-Junior 39, X30 Senior 36 and KFA 30. The Hall of Fame of the Andrea Margutti Trophy is world class. A lot of big names enriched the winners list over the years starting from back in 1990 when the Andrea Margutti trophy was established to remember the passing of the young Italian driver one year previously. Participation has been quite important since the beginning with a lot of friends of Andrea Margutti like Andrea Belicchi and Giancarlo Fisichella that respectively won categories 100 National and 100 ICA. Since 1990 a lot of champions have challenged each other before shining in International karting, motorsport and also Formula 1. Among the top names, alongside Fisichella who won the three editions of 1991, 1992 and 1994, other strong drivers that have been successful at the trophy are Robert Kubica (1999) and Daniil Kvyat (2009), but also a lot of other karting champions. The quick Sophie Kumpen, Max Verstappen’s mother, won edition 1995 in the most powerful category back then, Formula A. To be remembered are also the participation of the 5 times Karting World Champion Danilo Rossi and those of other important names of the likes of Jarno Trulli, Jenson Button, Vitantonio Liuzzi, Fernando Alonso, Giorgio Pantano, Kimi Raikkonen, Nico Rosberg, Lewis Hamilton, Nico Hulkenberg, Jules Bianchi, Antonio Giovinazzi and a lot of other protagonists of motorsport. The multiple-World Champion and KZ2 winner of edition 2015 Davide Forè is among the entered drivers. Thursday, April 4th: Free practice. Friday, April 5th: Qualifying practice at 15.30. Saturday, April 6th: Qualifying heats. Sunday, April 7th: Second chance races from 10.25; Prefinals from 11.45; Finals from 14.20.